Two weeks ago, we reported that American Horror Story creator Ryan Murphy had teased the upcoming season 7 with a pretty damn creepy sketch of an elephant. Given that the subject of the season is the 2016 Presidential Election, I’m sure I don’t need to connect the dots here. 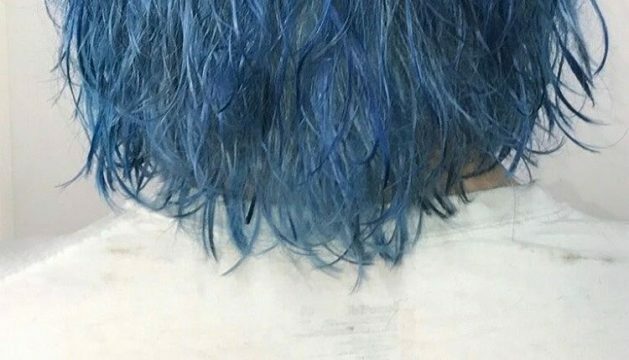 But today, he’s released a slightly more cryptic image of a person with dyed blue hair, captioned: “AHS Season 7: Red, white and blue clue.” Pretty enigmatic Murphy, but let’s have a go at trying to decipher what blue hair might signify in political terms. For me, the first thing that comes to mind is the alt-right’s virulent hatred of those they’ve dubbed Social Justice Warriors (or “SJWS”). 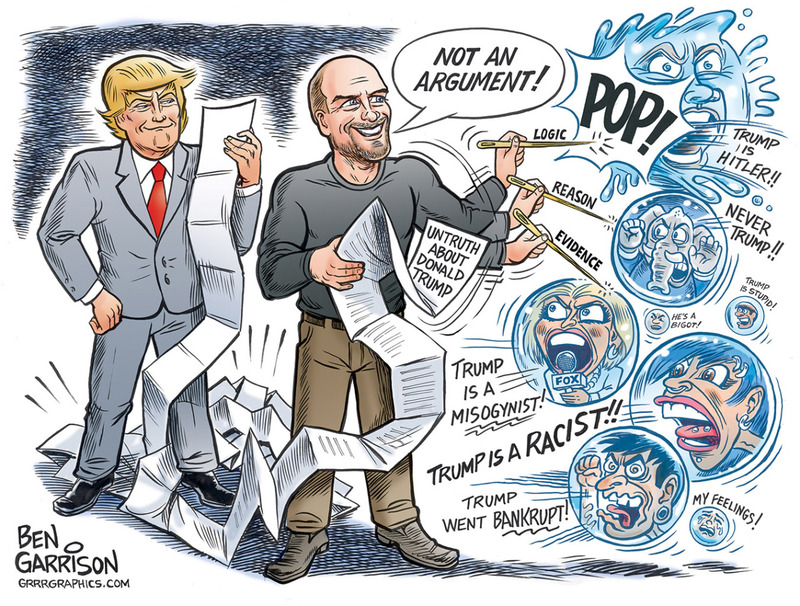 In the visual language of the alt-right, these people are invariably depicted with blue hair. 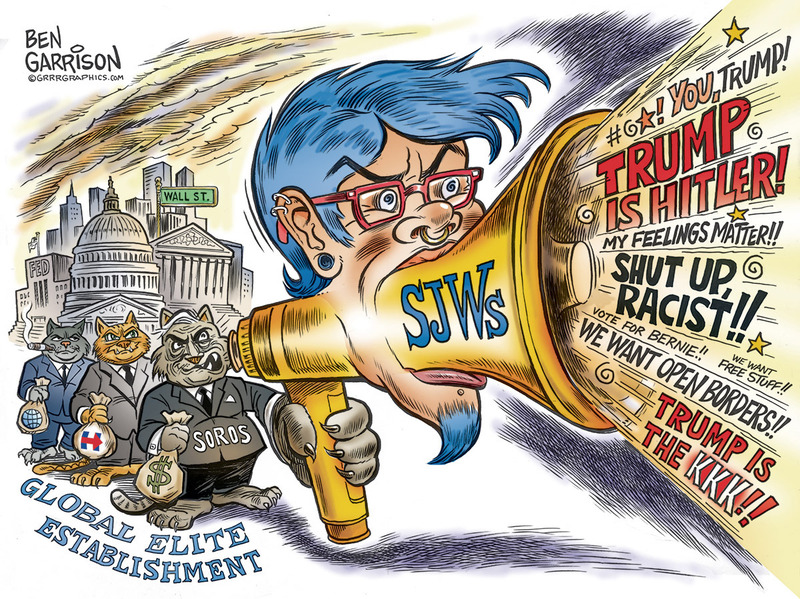 Have a quick flick through the insane cartoons of Trump supporting anti-semitic cartoonist Ben Garrison if you don’t believe me. So, if I had to posit a guess as to what this means, it’s that the upcoming season will focus on the clash of these two cultures: liberal anti-discrimination activists facing off against Pepe-postin’ alt-right/pols and members of The_Donald hivemind. Maybe I’m reaching a little, but Murphy has his finger pretty firmly on the cultural button and he must have chosen this specific image for a very particular reason, right? What do you think, though? Let us know in the comments if you’ve got a better idea! Season 7 of American Horror Story will air in late 2017.